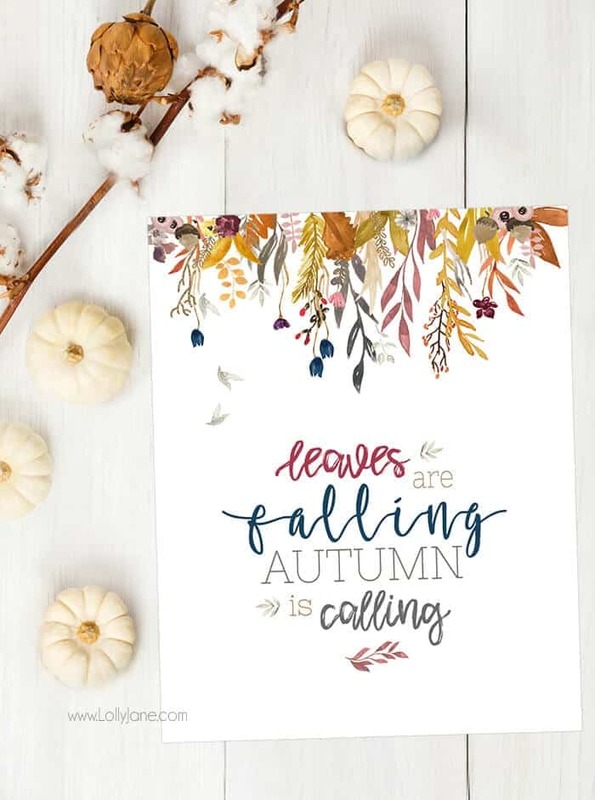 Ever since I became a mama, I’ve been crazy about printables! 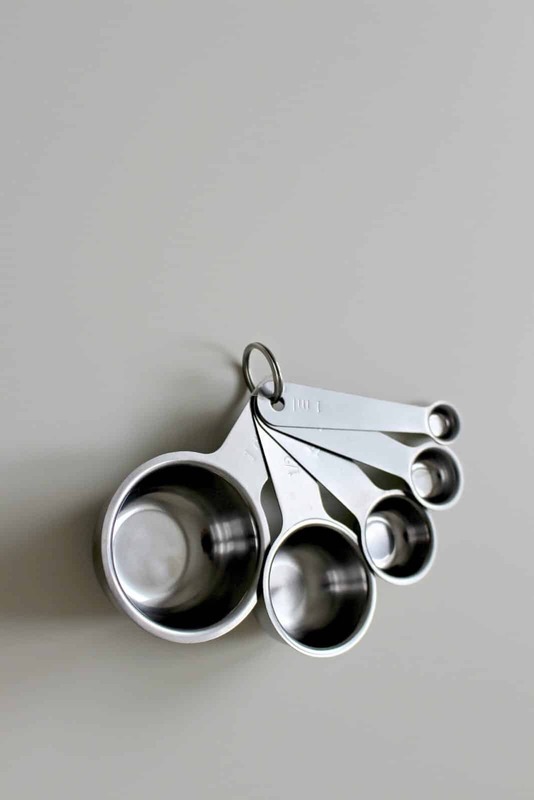 Anything to make my life feel more organized rather than chaotic is a win-win! So we at Life As Mama decided to create some printables of our own and open an Etsy shop with every printable we want to get our hands on! 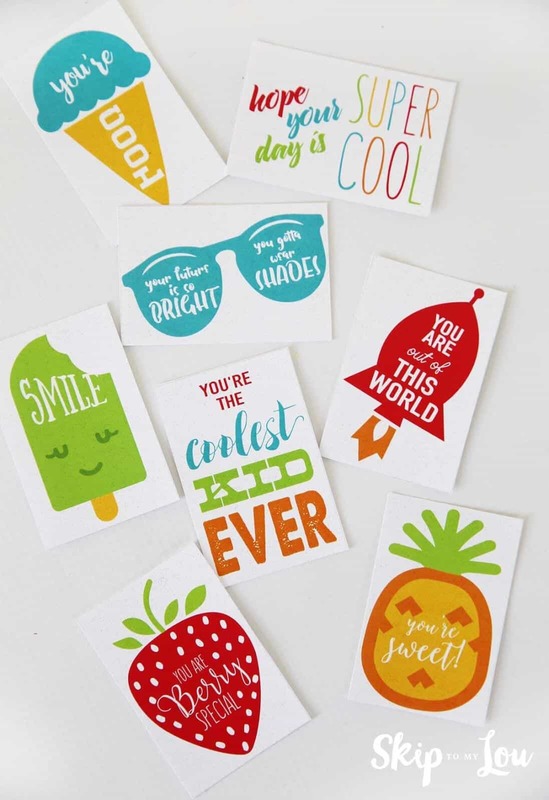 Visit our Etsy Shop and check out our “must-have” printables! 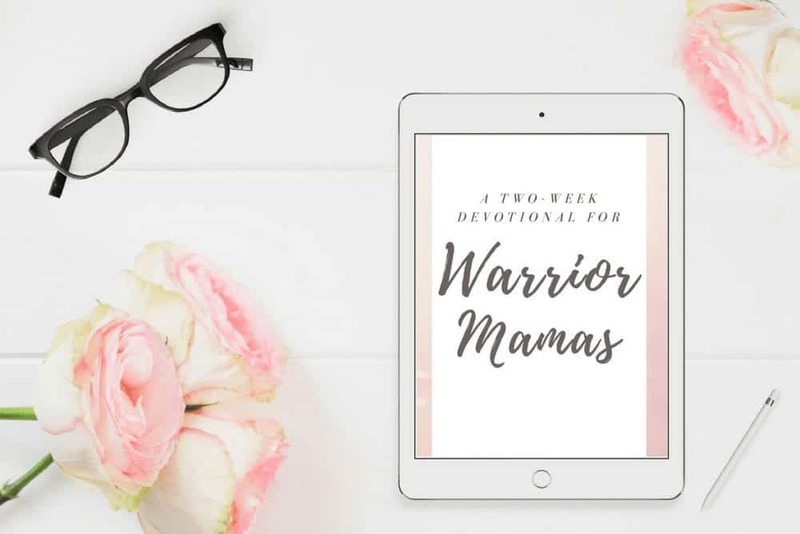 If you made it through the defiant toddler years or even the rebellious teenage years, you know what it means to be a warrior mama! But what does it mean to be a warrior for Christ? Not because He needs you fighting for Him because I think we can all agree God is strong enough to handle Himself. I’m talking about being a warrior to protect yourself and your family from the spiritual darkness that wants to secretly seep into your life — making you question yourself as a woman and as a mother. Join us for spiritual depth and substance as we grab our armor and together become Warrior Mamas. 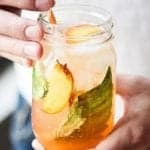 As busy moms, we need all the help we can get! So, we created a printable planning bundle for all of your organizational needs! 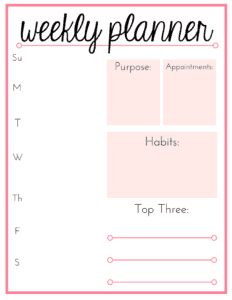 A “Weekly Planning” sheet — Write down your purpose for the week, list your appointments, plan out desired habits, and keep track of your top three goals to ensure success! A “Weekly Calendar” sheet — Mark out your detailed schedule for the week. 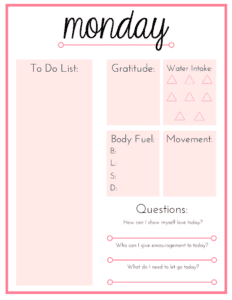 A “Sunday-Saturday Daily Schedule” sheets — Fill out the to-do list, daily gratitude, water intake, body fuel (breakfast, lunch, dinner, & snacks), movement (exercise), and answer three purposeful questions each week. 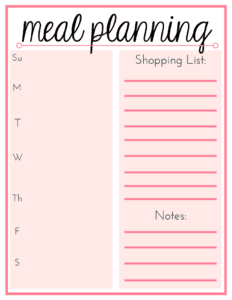 A “Meal Planning” sheet — Create a list of meals and a grocery list for the week. 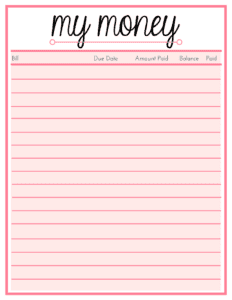 A “My Money” sheet — plan out your weekly/monthly bills to ensure they are paid on time. 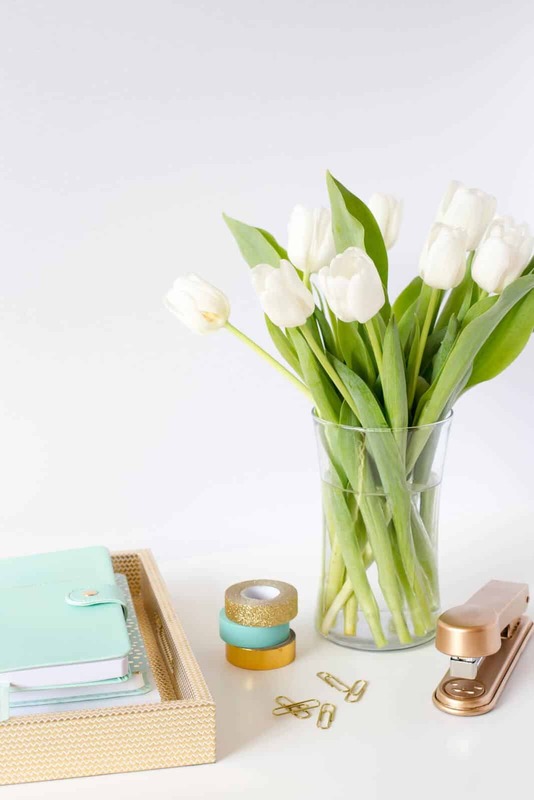 Visual reminders are key to completing your to-do list and reaching your goals! 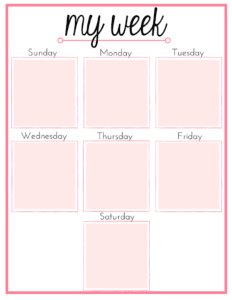 Print off a set each week (for a ONE TIME cost) and start planning! When we’ve booked a babysitter for a fun night out, the last thing we want to do is spend our day trying to remember all the important details and writing a 2-3 page letter (guilty) answering all the FAQ about your kids. 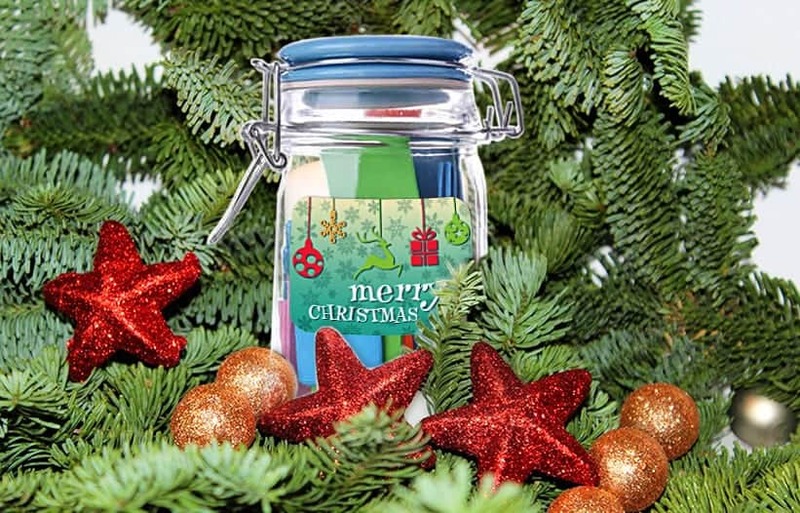 We’ve made it easy for you! 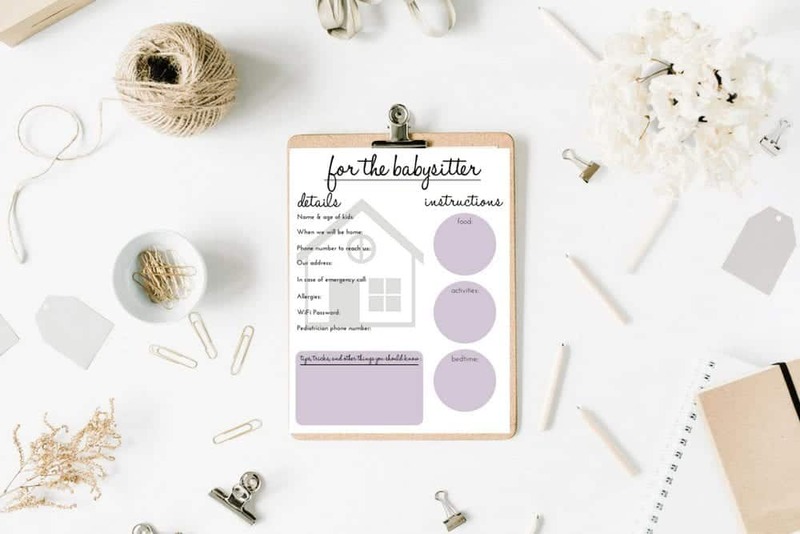 Purchase this printable ONE time and print as needed each time you hire a babysitter! We have thought through every important piece of information, so you can leave with confidence that your little ones are in good hands. You’re gathered around the dinner table for a nice family meal. You want your quality time together to be intentional and enjoyable. We want that for you too, so we put together a list of three questions to ask your children around the dinner table. It’s good to encourage your kids to take risks and step outside of their comfort zones in a healthy way! 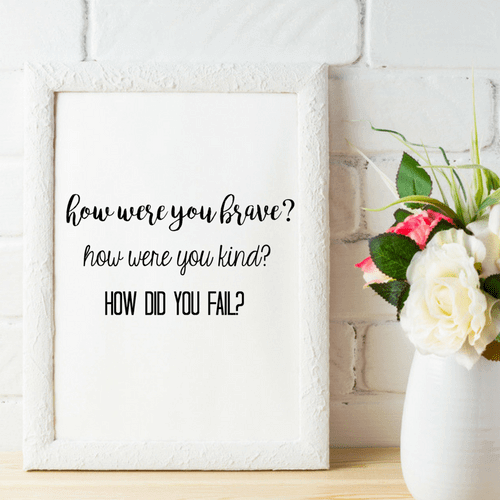 This question will encourage bravery! Kindness is so important. To ask your kids to talk about kindness at the dinner table will encourage kindness to be at the forefront of their minds and to act on it at every opportunity. Your kids WILL fail, but that’s the only way they will succeed and grow as well! So normalize failure. Talk about YOUR failures and celebrate your kids by discussing the lessons learned and how they will bounce back. Post these questions near your table and watch your relationships grow and thrive! You will receive THREE digital prints with your order! As an adoptive parent, I know the importance of implementing connected parenting practices. Part of this method is affirming your child’s safety and your love for him/her. 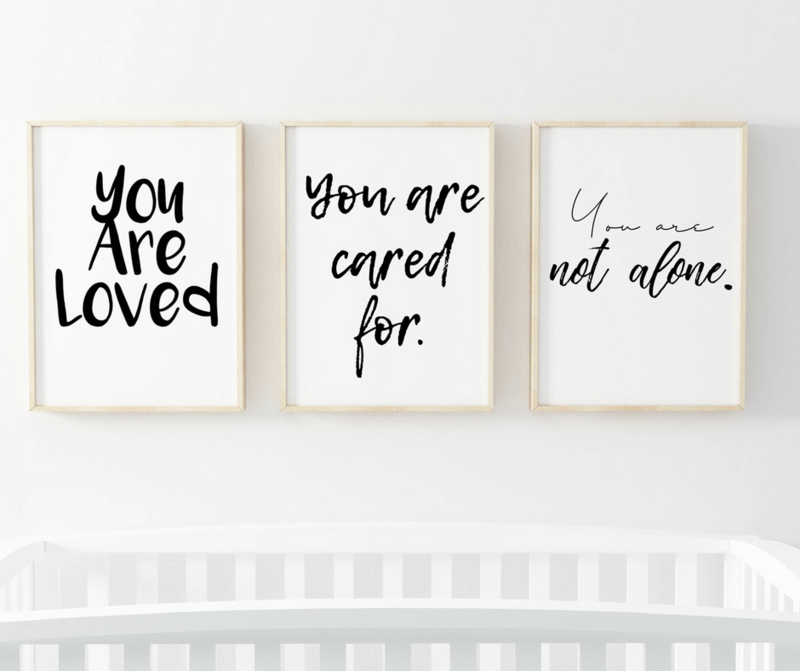 We wanted to create a way for you to remind children that come into your home, whether permanently through adoption or through the foster care process, that they are loved, cared for, and not alone! You can order this bundle of prints in black and white or request a custom color. I will create a sample within 24 hours for your order and then will send the digital copies after you’ve approved your custom print. Choose your color by typing the color number (1-9) into the comments section of your order. Thank you for supporting our Etsy shop! 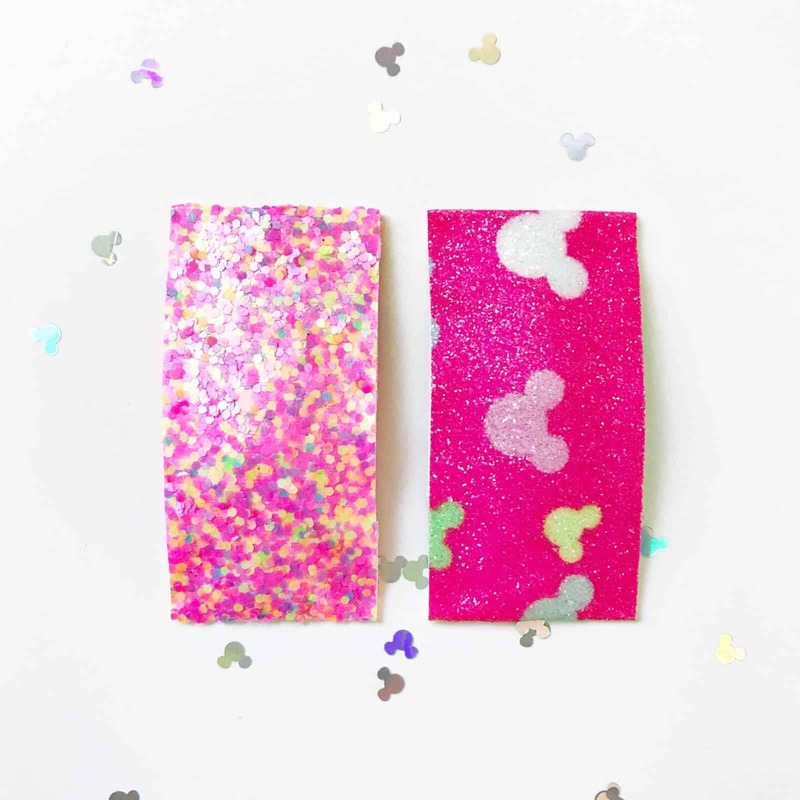 Be sure to FAVORITE our Etsy Shop‘s page and keep checking back for more! We are always adding more!